Thalamic extrapontine lesions in central pontine myelinolysis. Department of Radiology, Harbor-UCLA Medical Center, Torrance 90509. 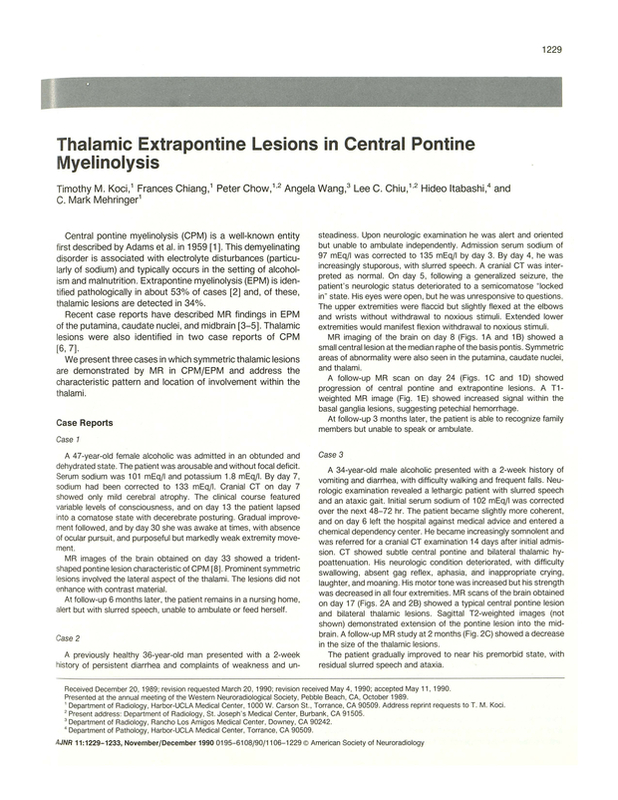 You are going to email the following Thalamic extrapontine lesions in central pontine myelinolysis.